Ok folks, so during my 'funemployment' phase I've been crafting away. 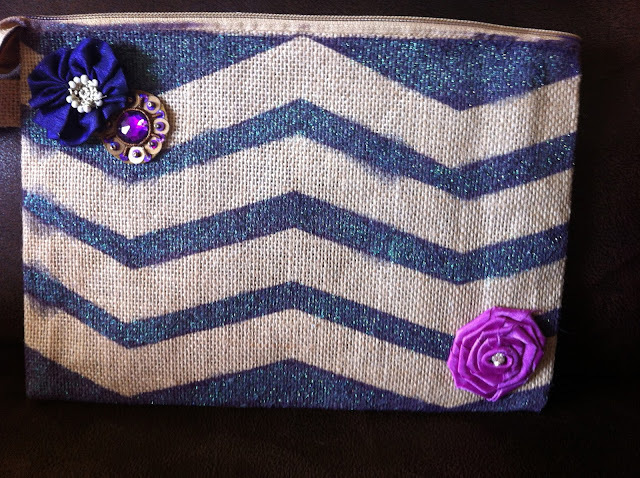 I saw a tutorial for diy glitter bags. I absolutely loved the tutorial but since spray paint is around $6 a can I thought I would make them a bit more cost effective. They make great gifts and are quiet fun to make. The bags can be used as a clutch a cosmetic bag or whatever you like. 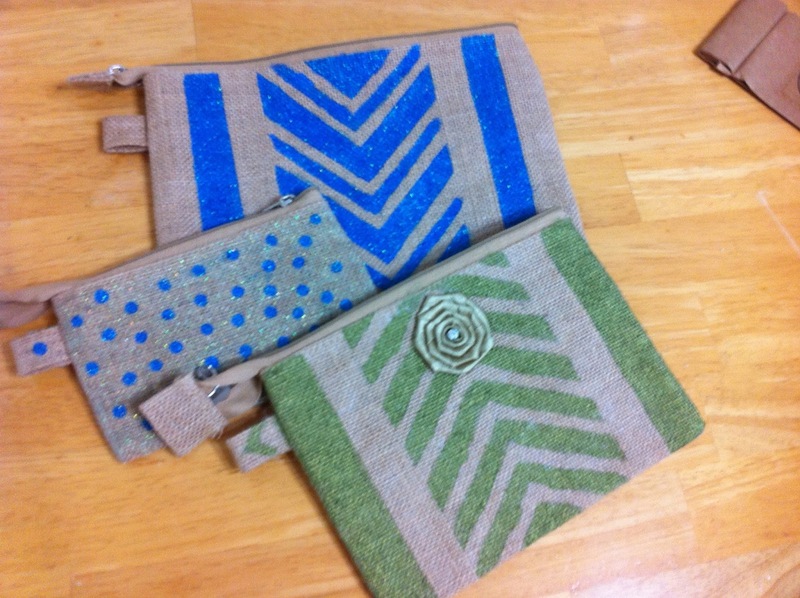 *burlap bags - from Hobby Lobby. You can use a 40% coupon with the Hobby Lobby app. Cut 14, two inch strips of painters tape and fold them in thirds. After the tape strips are folded, connect them to make a 90 degree angle. 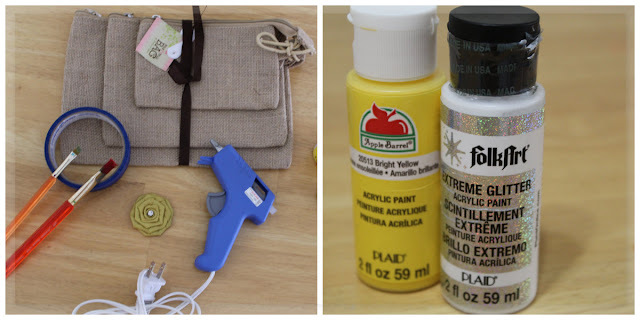 Place them on your bag and be sure to press the tape down firmly so the paint won't bleed through. 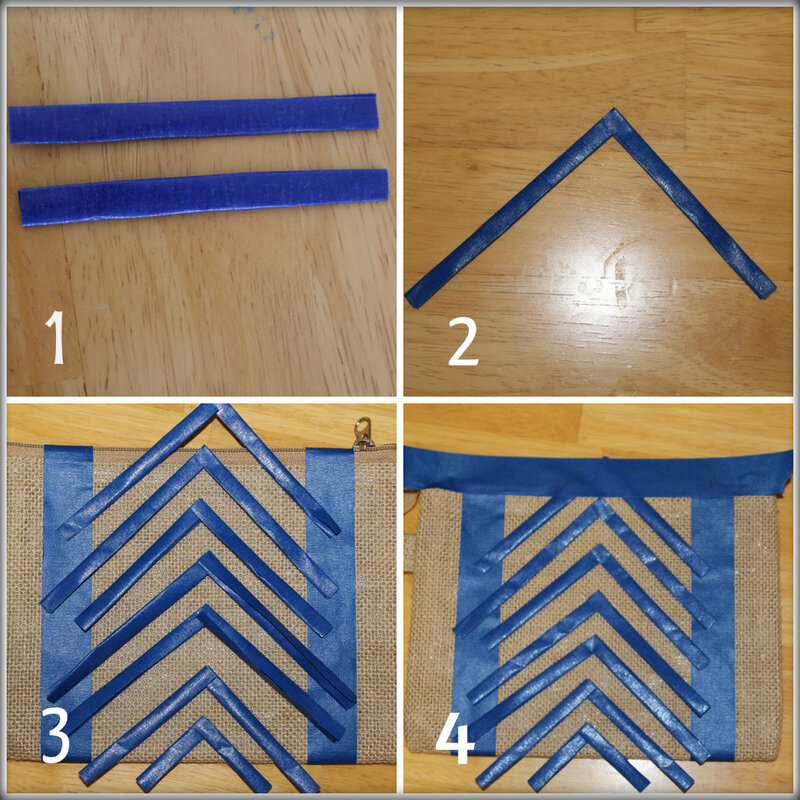 Put tape over the top of the bag to avoid painting the zipper. Slather that bag in paint. Remove the tape and apply the glitter paint. It might look like the color is distorted but it will look fine once it is dry. After the paint is dry glue the flower on the bag and you are all done. Here are some more other burlap bags I've made. What's your favorite easy DIY craft? I'd love to hear and try some new things out. cute i love that!! i should try and do something creative like that ;) I am not very good at being artsy!